Reception: Friday, January 11, 6 – 8 p.m.
Have you ever imagined what the future holds? Tacos for dinner? How about further down the road? Now you don’t have to! 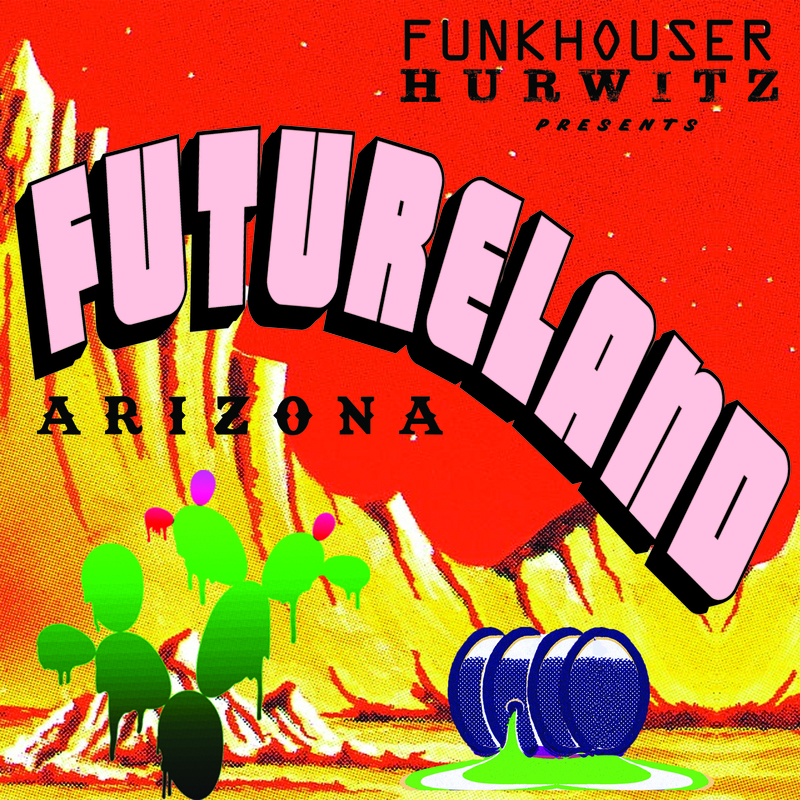 Funkhouser and Hurwitz present you a glimpse of our fate in Futureland, Arizona: An Art Show. In one of the hottest upcoming destinations, visitors summit artificially formed future mountains, wander through mutant species of cacti with a trusty field guide, and watch the beautiful sun filter through centuries of one time use plastics! For those who desire to fill their cultural coffers, the cutting edge of future fashions and the relics of our ancestor’s technology will also be on display. At the end of the day, sit back, relax and watch the amazing sunset that only Futureland, Arizona can provide. A future vacation destination, coming to you at Vision Gallery, Chandler in 2019!